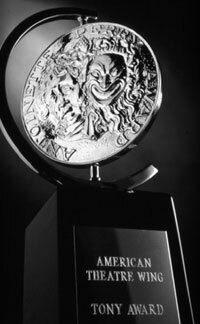 The nominations for the 2011 Tony Awards were announced this morning. The Book of Mormon leads the pack with 14 nods. I was happy that even though they're closed, The Scottsboro Boys,and Bloody Bloody Andrew Jackson still got nominated. Also excited for Bengal Tiger at the Baghdad Zoo's Arian Moayed; Bobby Cannavale and Yul Vazquez from MotherF with the Hat; Miss Daisy herself, Vanessa Redgrave; Priscilla Queen of the Desert's Tony Sheldon; The Book of Mormon's leads, Josh Gad and Joshua Rannells; and Scottsboro Boys' Josh Henry. How to Succeed in Business without Really Trying is up against Anything Goes for Best Revival of a Musical. No Tony nod for Daniel Radcliffe though, but his co-stars John Larroquette and Tammy Blanchard made the list. Here's the complete list of honorees. The awards will be presented June 12 on CBS. The list is mostly theatre actors compared to last year's Hollywood-centric nominations and winners. Too bad Daniel Radcliffe was snubbed again! And no nomination for Aaron Tveit too.